Students at Greenwich Catholic School are rooted in faith, surrounded by community and committed to excellence. Our learner-centered curriculum maintains high academic standards, ensures students are actively engaged through a variety of instructional methods and emerging technologies, and promotes collaboration and higher level thinking skills. Within a welcoming, Christ-centered environment, students are made aware of their role as members of the Christian community through the teaching of Catholic doctrine, participation in liturgy and worship, and involvement in service projects. The Dougherty Center for Early Learning is unique in many different ways. We see each child as an inventor, a problem solver, and a discoverer - while motivating their natural curiosity. The Dougherty Center program emphasizes a primary goal for children to get along well with others while also becoming enthusiastic, independent, self-confident, and curious learners. Some more of our PreK students celebrating Dr. Seuss Week! 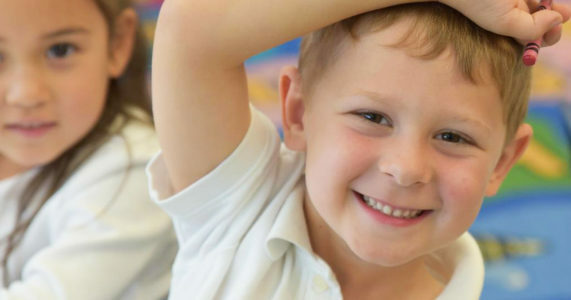 Children at the Dougherty Center for Early Learning benefit from state-of-the-art preschool instruction, designed to develop necessary social skills in both small-group and large-group environments. The Dougherty Center’s curriculum combines these activities with structured and independent learning sessions, designed so that early learners develop heightened levels of critical thinking and academic development. The Dougherty Center also seeks to combine its preschool curriculum, which is geared toward inducing creativity and curiosity in students, with plenty of motor skills and social development. 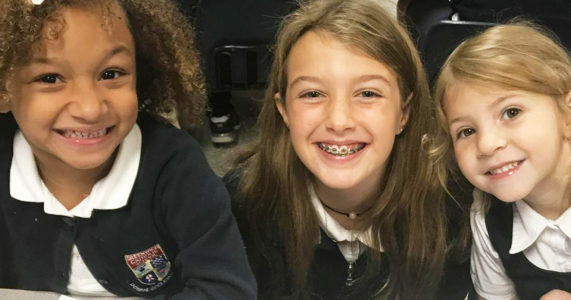 This nurturing environment is reinforced by the school’s Catholic Identity ensuring a spiritual foundation and a love for God in their students. 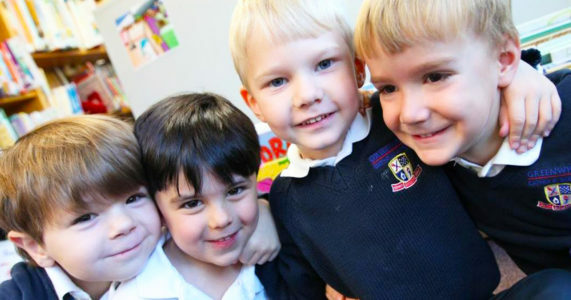 Preschool children at the Dougherty Center also take part in many of Greenwich Catholic School's enrichment classes - such as gym, music, foreign language, art, and library. There is a transitional preschool class that has a modified curriculum to foster a child’s different learning needs. The transitional Pre-K class has a small student to teacher ratio to focus on each child’s learning process for a successful learning outcome. The Dougherty Center utilizes effective teaching approaches that are also developmentally, culturally, and linguistically appropriate for young children. Greenwich Catholic School is also cognizant that half of a child’s education takes place at home and that preschool may be the first time parents part with their children for an extended period. With this in mind, teachers strive to engage with parents in open communication and encourage parental involvement. Founded in 1970, Greenwich Catholic School has pioneered education for children through eighth grade for over forty years. Our holistic perspective in education—combining faith with critical thinking—embodies the Catholic passion for supporting social, cognitive, physical, and language development in all of its students. The combined efforts of our teachers and school administrators mold preschoolers into becoming enthusiastic learners and creative thinkers. Wonderful family environment. Dedicated principal and staff. The children are always encouraged to be their best, care for others and work to their potential. Well worth the tuition!! Wouldn't send my kids anywhere else now that we found GCS. I never felt more confident about my children's, education, safety, and spiritual lives in hands of such amazing educators. My oldest graduated and matriculated to an amazing high school and our youngest enters 7th grade on the same strong path. We couldn't ask for a better experience! Everyday is full of learning and love.